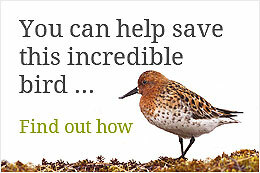 The spoon-billed sandpiper is facing extinction. Action is underway throughout the flyway by a wide range of people and organisations working in partnership to halt the decline. For the first time, spoon-billed sandpiper migration is being tracked with satellite tags. There are now encouraging signs that conservation measures are reducing the impacts of some threats and bolstering the population but there is also the continuation of some key threats and the emergence of new ones. There remains a great deal of work to do. The most important and challenging aspect of which is maintaining and protecting habitat at key sites, particularly stopover sites in the Yellow Sea. At least one key stopover site remains unknown, and only a portion of the population can be found during breeding and wintering seasons indicating there are also breeding and wintering sites yet to be found.